Harold Adolf Wegner was born in 1926 and raised on a farm in a German community near Alpena, Michigan. His family spoke only German until he and his sister attended school and learned English. He enjoyed playing baseball with neighbors everyday. 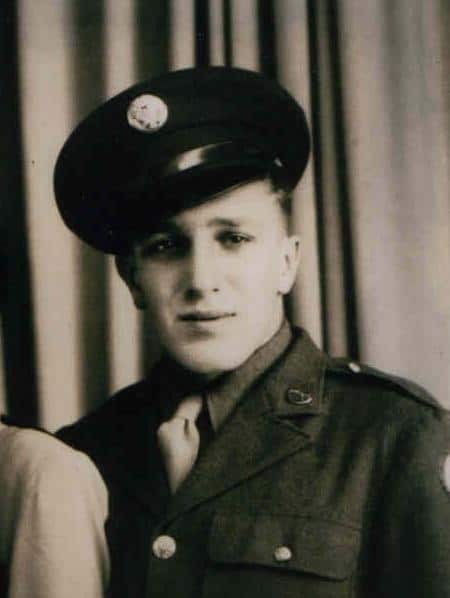 He said, “I would rather play baseball than do anything else – even eat.” He lived on his parents’ farm until he joined the Army at nineteen and shipped out December 26th, 1944. He was being shipped to Japan for the invasion there, and was in the middle of the South Pacific, when the war ended. He was redirected to Leyte for four months and then Gaum for another six months until he returned home. He was in the 17th communications squad attached to the 20th Airforce.